I agree with you that bludgeoning her stepmother would be stooping to her level... that of a murderess. One cannot right a wrong by committing another wrong. I was actually cringing watching the scene while silently screaming "don't do it." I understand your premise of healing but without atonement on the part of her stepmother first, there will never be healing. As the drama concluded, there never was any form of atonement from the stepmother. So that is my problem with her character. She's narcissistic, self-absorbed, lying and cruel woman proven by the fact that, even after she killed Woo-Kyung's sister, she continued to treat her grown stepdaughter and her own daughter with the same cruelty sans the physical abuse. In spite of Woo-Kyung's attempts to win her love, she never reciprocated and insulted WK every chance she gets. She even connived with WK's ex husband to have custody of her daughter. She may even be suffering from a personality disorder. First step for WK is to ensure that her stepmother get counselling, maybe even check her in a mental institution. At the same time, WK should give time for herself to heal, let her sister mend physically and mentally, allowing her to rid herself of all the hate and resentments she felt for her mother. As a mother myself, I will never allow my daughter to be exposed to this poor excuse of a human being. I'm surprised that there's statute of limitation for murder in South Korea. Do check out Kim Sun A's IG for a plethora of BTSes that she has recently uploaded... which just makes me miss them even more. Never before seen footage of KJH's desperate attempts to save LEH... proof that he went to all lengths to do so! @sheherizade3 There is no statute of limitations to 1st degree murder in Korea. However, in the stepmother's case which is possibly classified as manslaughter or death by accident, the statute of limitations remain at 25 years, which has already exceeded in little SK's case. Am excited about this interview and the epilogue which was cut out. Didn't realise they were still filming until the morning of the finale. Looks like we might get a Season 2 after all? 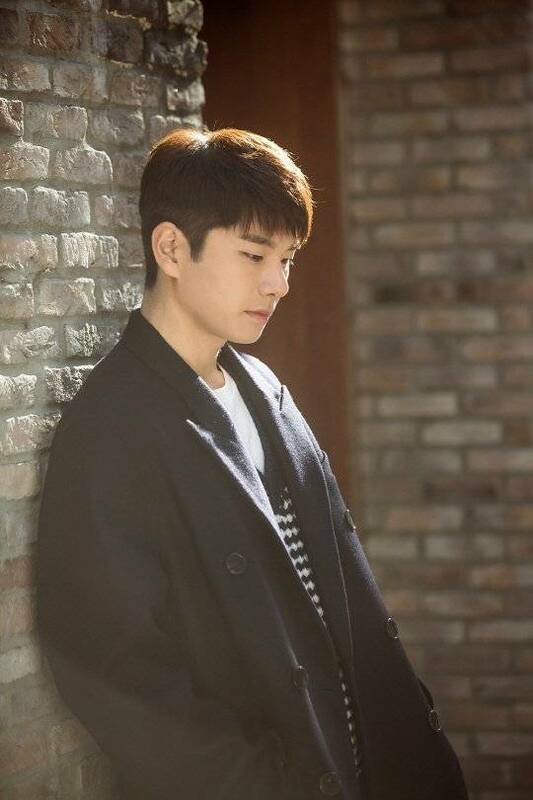 Lee Yi-kyung claims he didn't know anything about the criminal from "Children of Nobody". He was interviewed recently in a café in Seoul. Lee Yi-kyung said, "I didn't know about the 'Red Cry' and neither did Kim Sun-ah. The director never told us. We only knew when the actor's name was written next to 'the Red Cry' in the script". Lee Yi-kyung continued, "I suspected Kim Sun-ah. Cha Woo-kyeong was in the middle of everything. Someone asked me if I was the Red Cry. It was fun trying to figure out who the culprit is". "We finished filming the final episode on the morning of the final episode. There was an epilogue of Red Cry sending everyone a text message from prison, but this never got out. It means that there will be a second season and it also means that child abuse continues". About season 2, "I guess we might talk about it at the dinner party tonight. Kim Sun-ah said she'd like to meet me again". 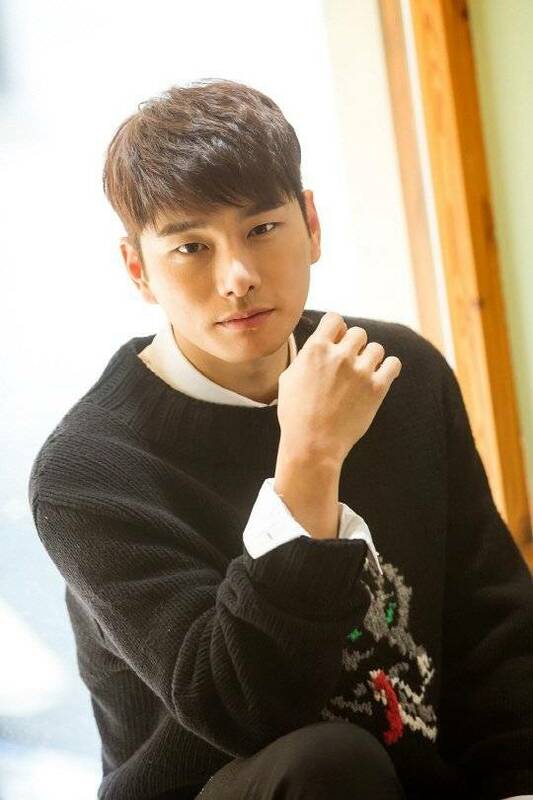 Lee Yi-kyung said, "I have a niece, but I am not that age to think about children so I didn't know much about child abuse. The drama is actually a nice version of it. There are so many worse cases out there". "Children of Nobody" is a mystery thriller about a woman who tracks down a poem to solve a case. The drama has a social message on child abuse. Lee Yi-kyung played the role of detective Kang Ji-heon and he's coming back with the JTBC drama "Laughter in Waikiki 2". Great analysis, @liddi! I really liked your thoughts on YTJ and his reasoning for becoming Red Cry. I guess what still bothers me about him, personally, is while there is this common thread of himself, Wookyung, and Siwan all thinking "I'm glad it wasn't me" when confronted with their younger sibling's abuse, there's one thing that he doesn't have in common with them. While they themselves were not the predominant targets of abuse in their households, Siwan and Wookyung still had to live and grow up in that toxic environment and contend with loads of emotional and psychological abuse, even if physical abuse wasn't usually part of the equation. Yes, there's still that guilt and sorrow that comes from just being glad that it wasn't you being hurt, but I think that was also fueled by the fact that they both knew every hour of every day it could have very easily be them at any time if their younger sibling didn't exist to take the brunt of the punishment. In light of all that, YTJ's stated motivations would almost be more understandable if he had stayed in Korea and grown up alongside his little brother, IMHO. Eunho would still have been the one to attract all of the Head Director's "attention," but YTJ would have experienced some that environment with him, known something of what his brother was going through but also been glad it wasn't him to experience it, just like Wookyung and Siwan did with their siblings. Unlike those two, though, he eventually took action and lashed out at an unfeeling and uncaring world, and did the only thing he could think of to avenge himself and his suffering younger brother as well as "save" other kids which were going through the same things they did when they were children. To me, that would make him much more understandable and sympathetic. As it stands, the explanation we have now isn't a bad one, it just seems more of an excuse for a deeply disturbed guy who had no business being a psychiatrist in the first place to let loose his psychotic and controlling tendencies while convincing himself that he was also "helping" people than it does a valid Freudian Excuse. But that's just my two cents. Actress Kim Sun Ah had no shortage of praise for her “Children of Nobody” co-stars Lee Yi Kyung, Nam Gyu Ri, and VIXX’s N! On January 22, Kim Sun Ah sat down for an interview to talk about the MBC drama, which came to an end on January 16. 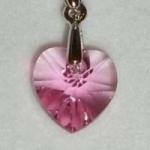 @cyan5tarlight Thank you for your thoughts! I don't claim to understand YTJ inasmuch as what DHJ writer-nim determined as his backstory and motivations... nor am I familiar with psychology by any stretch of imagination, but here are some of my theories of why YTJ turned out the way he did, despite, as you said, a far more privileged, fortunate upbringing than his brother and those he set out personally to save. I think it is exactly because he is that much more blessed, that his instinctive first thoughts elicited far greater self-loathing compared to if he had been a part of that same toxic environment. The fact that he was thousands of miles away all those years, blissfully unaware of what his brother suffered, never having to choose to stand up for his abused sibling or turn aside in self-preservation, achieving all that he had achieved then coming back due to his compassion for suffering children, yet this was the first reaction he had when it finally hits so close to home - is it any wonder he judged himself by even more exacting standards and is thus no longer able to forgive himself? That in turn, would have fueled an even greater hatred for abusers whose abhorrent actions would claim so many victims - be it those abused, or those who escaped - yet remain outside the confines of the law. As such, being one who continues to live with such terrible guilt and self-hate, he would have been driven by the conviction that it was his moral obligation that no other child should have to go through the trauma of abuse and its aftermath. I beg to differ but I do not believe YTJ coerced LEH into being a part of the Red Cry cause, or controlled him in any way. From what he told KJH, LEH was filled with anger upon remembering what happened to him, and it was their collective anger that gave birth to Red Cry. KJH himself once noted that there is a deep-set fury within LEH just threatening to explode. Remember LEH was the one who first met PYT, and instinctively recognising a like-minded comrade, worked with him to create the bulletin board that would gather more like-minded members. From my interpretation, they each chose to take on different roles - cases are brought to their attention from various sources (members, their personal observations etc) upon which YTJ would verify and collect pertinent data, while LEH will serve as executioner when necessary e.g. taking over when Sora's mother could not bring herself to kill her husband. As to why LEH would do so, I think he views it as a necessary evil and is therefore utterly detached about the killings. We now know that LEH was already working in Hanul Children's Center before he was reunited with YTJ, which means that he had not returned with vengeance in mind. It is telling too, that although a pertinent part of Red Cry, LEH still suffered from involuntary emotional dependency on the old director and Director Song despite YTJ trying to save him from their parasitic influence with repeated reminders that they never saw him as a part of their family, but merely someone they could use and control. What that indicates to me is YTJ did care and had been actively trying to convince his brother to break free from the terrible hold his abusers had over him, a truth LEH could not accept in his heart despite understanding it in his mind. I am also inclined to think that it was only when CWK conveyed Director Song's words, asking him to take the fall for him, that LEH finally accepted the painful truth in his heart. LEH's devastated reactions and subsequent outburst, involuntarily revealing what YTJ said, were too raw to be merely an act. It is possible too that because LEH had been under the old director's insidious thrall for most of his life, he could not go on anymore once the bond is finally severed for good by his own hand, and that in part, could have been one of the reasons he chose to die while protecting his brother to ensure their cause stays alive. What I would really love to know is the contents of the text Red Cry sent everyone from prison in the deleted epilogue. Perhaps it would have clued us in further to the psyche of YTJ, one which is not given full justice in the short 1 hour finale. If we ever get a season 2, I also hope we will finally gain insight as to who really did kill Kang Ming Gi's father. The boy adamantly denied to the last that LEH did it. If so, did he do it himself after all? Assuming Red Cry remains active after YTJ's incarceration, perhaps KMG would be the one to take up the mantle in his place. Yes. Love reading everyone thoughts. You know it's a sign of a great drama when weeks after, dust and thoughts have settle, we find meanings after meanings of what it wants to tell us. Sorry to have cut your post, I learned a lot from it. @cyan5tarlight I agree with @liddi here on her analysis of Eunho/EunTae. Their collective acts made Red Cry, each take on a different role though motives are both personal and united in many ways. This made RC a complicated figure, not one to simply disregard as a vigilant or psychopath. I think I came to a conclusion that Eunho in many ways tragically chose to execute his solutions consciously. The pain that he felt and his overwhelming need to stop the suffering of others were the overwhelming "motive" for his actions. Just as Ji Heon, I considered over and over again how I should remember Eunho. Or whether Ji Heon (who supposedly personifies our society) has done all that he could to help steer Eunho's life to a different outcome. And the answer is yes and no. He did have the choice to walk away. However, he didn't have the tools to see the available options or the foresight to understand the consequences. The person who should have helped him was EunTae who chose to hold his own brother hostage to mental prison and used him to alleviate his own survivor's guilt. The way the drama ends, it is my belief that the message is clear... we need to take accountability for our choices and live with the consequences. Rainbow, unicorn, or not. Because Eunho wanted to give the victims the permanent solution that he himself could not, I think he did consciously committed his executions and not just merely being coerced by EunTae. Does that make Eunho unsympathetic? No way. We didn't get to know more about EunTae. I don't know if this is deliberate on the writer's term so that he remains a figure for us to consider our own moral and personal stance in all of this. I did like the two phrases that EunTae uttered cuz they speak so much, means a great deal... were wonderfully written. Just marvelous. "I was glad it was not me" and "Good job Woo Kyung". The former speaks on how EunTae compartmentalize his psyche. Fascinating really. On one hand, he felt great survivor guilt just like Wookyung. He tried to transfer this guilt and anger toward the abusers. Maybe in his mind, this is a productive and positive way to correct for his own mistakes. I also think it's his own therapy for empowering himself for being the victim years ago. Handling out punishments to the abusers allow him to heal just like Eunho. I don't doubt he also takes upon himself the authority to judge but I wonder if he perceived it as the victims taking back their lives. 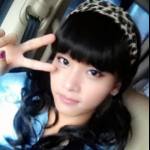 This is why he identified with Woo Kyung at a mentor level and took careful steps to grooming her. The rage in Woo Kyung was something that needed to be unleashed so she can regain control against her abuser. In many ways, I see Woo Kyung's struggle to continue to live as very realistic and a great way to highlight the dilemma we all face. It started with EunTae congratulating her on resisting going down his own path. To EunTae, he chose to go beyond the law to deliver justice because the route through law and order failed. In exchange, the victims received what he considered a fair judgement. Woo Kyung chose to stay within the laws to preserve her humanity and morality. The result is that the statute of limitation was not on her side. What she is left with is the struggle to make peace with her decision. The consequences of taking the other route and chose life over death. The options that life gives to the permanent solution of death. If she could, would she change her decision if she can go back in time? That's what I love about the ending. The what if? Woo Kyung became the vigilant figure like RC in her stepmother's life. It became her burden to carry for the rest of her life. I think it is something Woo Kyung embraces as her debt to little SK just like the sun switching places with her sister moon. For her sacrifices, she comforts herself with the happiness of family for SK and her daughter. Is it fair? Not really but is so realistic. This drama does need at least one more episode to tie up some of the small details, Boy A, Soo Young and Ji Heon's back stories... How about that missing Epilogue!? Maybe it will be included in the Director DVD version? Any news of that possibility? All in all, love it, excellent drama. @liddi @bedifferent Thank you both for your thoughts as well. Ultimately, my theory is that Red Cry is the product of two ﻿brothers ﻿who were damaged in different ways as a result of the same abusive act - one ﻿﻿﻿﻿driven ﻿﻿﻿﻿by overwhelm﻿﻿﻿ing ﻿﻿guilt and hatred, the other by the hell that he had experienced - united by a common goal that ﻿no ﻿other child should hav﻿e to suffer as they have by putting a definitive end to the source of each child's abuse﻿﻿. He ﻿﻿﻿﻿did ﻿have ﻿﻿﻿the choice to walk away. However, he didn't have the tools to see the available options or the foresight ﻿t﻿o understand the consequences. The ﻿person who should have helped him was EunTae who ﻿chose to hold ﻿﻿﻿his own brother ﻿﻿hostage ﻿to mental prison and used him to alleviate his own survivor's guilt﻿﻿. And that's exactly why I have far more of a problem with Taejoo than I do with Eunho. When faced with his brother's trauma, Taejoo was fully capable of saying "Nah man, we're getting you therapy, and we're going to tank that stupid center once and for all, and then you're going to come live with me and have the happy, fulfilling life you should have had a long time ago." But he didn't. Eunho was essentially a broken, traumatized child living in a grown man's body. He was poor, uneducated, socially awkward, knew nothing but pain and abuse and could comprehend no other way to escape from it except for death. Taejoo, on the other hand, was a fully-functional adult with the best education money could buy, charming, suave, and insightful, who had grown up with a loving home and a loving family. If anyone could have set Eunho straight and shown him that there was indeed a better way to live, it would have been Taejoo. Not saying it wouldn't have been difficult, because the road to healing never is, but I firmly do believe that if Taejoo had kept at it, kept showing Eunho how awful the Songs were, how he didn't need to be under their thrall, this isn't how healthy people live, he would have gotten through to him eventually. But he didn't. It's like he gave up and just left Eunho to sort out his own problems with the Songs, like "Well, if it gets bad enough, I'm sure he'll leave eventually. This is something he's Got To Do Himself." Nevermind the fact that Siwan certainly didn't ask him to go and murder his own dad, and he was more than willing to go knock off Stepmom for Wookyung. Eunho doesn't even get that much? Really? (Not that I'm advocating for murder, I just find the whole situation darkly ironic and more than a little hypocritical.) And I'm just not convinced, rage notwithstanding, that Eunho would have necessarily become a killer if Taejoo hadn't been there egging him on and assuring him repeatedly that what he was doing was right and just. In addition to all that, even though they were technically partners in this endeavor, it's hard for me to not see a colossal power imbalance between the two brothers, not only with the vast age difference between them and the emphasis Korea places on age hierarchies (i.e. respect your elders above all else, do everything your elders say even if you disagree, and in turn, your elders will take care of you and not steer you wrong), but also their socioeconomic status, their level of education, and the way one was so much better at reading, understanding, and manipulating people than the other. Even if Taejoo really believed he was helping and doing the right thing by encouraging his brother down this path, and even if Eunho went with him willingly, I still can't see their relationship as anything but very unbalanced and exploitative. Even if Taejoo didn't necessarily intend it to be that way, it's definitely how it comes across. Kim Sun Ah expressed her desire to star in the sequels of her past works. “Children of Nobody” is a mystery thriller about a child counselor (played by Kim Sun Ah) who comes across a mysterious child and uses poems as clues to solve the case. Thank you all for your fascinating insights! @bedifferent I particularly love how you described Red Cry as YTJ's own therapy for the guilt he carries - a measure of his own redemption if you will, and your explanation of YTJ's choice of vigilantism due to a system that he deemed to have failed to protect the victims. And the sacrifice CWK made in choosing to let her stepmother live, thus never having the satisfaction of seeing her stepmother face justice in the eyes of the law, due to the expiry of the statute of limitations, having to live with the sense of injustice of it all, while accepting her choice as the only one her conscience, her moral fibre would allow - beautifully described - thank you! @cyan5tarlight I think where you and I differ is your belief that because outwardly YTJ has everything going for him and seems to have it all together, he is more than capable of guiding LEH through the scarred experiences of hell and embrace a new lease in life. I don't concur. For me, I find YTJ himself is damaged - the trauma of his abandonment exacerbated by his immense guilt - only he is far more adept in hiding it from the eyes of the world. As such, for me, to hold someone thus damaged responsible for not saving his brother, is a tall order, if not impossible. Physician, heal thyself? How could he save his brother, when he could not save himself? They were both lost the moment LEH's abuse was revealed - a turning point in both brothers' lives that set them down a path of no return, both plunged into a hell not of their own making. As for LEH's continued proximity with the Songs, LEH's outburst to CWK indicated that YTJ had tried to get him to leave - but the younger man could not, due to their hold over him. Perhaps it was then that the plan to bring down the center was conceived - taking steps that LEH could manage, until he could finally build himself up to confront and destroy the man who stole his life. And no, I don't think YTJ ever left his brother to deal with his abusers alone. I think in the end, he realised that his brother could only truly be free from the old director's insidious hold when he personally cut the ties to the twisted relationship. What I think he did not expect is LEH to choose to die after the deed is done. Remember that LEH had already packed and was leaving the center. Do we really know that their original plan was not for him to join YTJ after that? Hence his devastation with his brother's death (whom he referred repeatedly to KJH as "uri Eun Ho"... our Eun Ho"), especially the significance of the location he chose to die. In my opinion, Siwan and CWK are different from LEH in one significant way - while tormented with self-guilt, they were not necessarily held in thrall by the parents who wronged them. Perhaps to him, the ties to their abusers needed only to be severed definitively, to help them claim back their lives and be free of their torment, one he understood only too well. Unlike his brother, whose ties ran too deep, that the only hope for healing is to sever them himself. Just my 2 cents..
Gosh, why am I starting to sound like an advocate for YTJ and Red Cry? Am I now user ID "H4", taking MHJ's place on the bulletin board? But in all seriousness, I will admit that I approached the finale with a great deal of trepidation, because I was afraid that the writer would opt to go with a safe script, with LEH remaining the innocent victim and YTJ the diabolical mastermind. As such, I cannot begin to express just how thrilled I am that she stuck with a tougher, perhaps less popular choice - to make the pitiable, much-loved LEH just as culpable for his actions, and YTJ more than just a caricature of the typical villain and manipulator. Kudos, writer-nim! @liddi You raise some interesting points. What Eunho did was wrong, no doubt, no debating it. But at the same time, given his upbringing and the awfulness he had to live with nearly every day of his entire life, especially when faced with the possibility of the same thing happening to the innocent children he adored so much... well, honestly, how much can anyone really hate him for doing it when you get right down to it? On the other hand, I suppose my hangup with Taejoo - tragic backstory notwithstanding - stems from the fact that he is, ostensibly, a trained professional. One who has (one would think) studied cases similar to his brother's and Wookyung's and Hana's in preparation for his medical practice, who should know how to treat them without resorting to first and second degree murder. Basically, my opinion of him boils down to "he, at least, should have known better." What if someone came to a doctor bleeding out everywhere from a sucking chest wound, and the doctor just slapped a band-aid on it and sent them on their merry way, resulting in that person's death? Would I not be allowed to be indignant about such blatant malpractice, no matter how good the intentions of the person performing said malpractice might have been? So what about a trained psychiatrist deciding that the best treatment for a suffering individual who came to him in good faith seeking peace and healing was to have them go commit multiple cases of homicide? I mean, it's definitely not a crime to be traumatized or to have baggage, and there's no shame in not being able to help someone get better, even if you do all you know how to, but surely Taejoo would have known what kind of cases he'd possibly be handling when he opened his practice. If he couldn't handle it, then, idk, maybe he should have thought about going into a different profession. Again, I would never hold it against anyone for having trauma in their lives or skeletons in their closets, but I find it completely irresponsible for someone who is obviously this mentally unstable and damaged to place themselves in a position where they could cause untold damage to others because they overestimated their abilities due to their own hubris. I know I would be an absolutely awful surgeon because I can't stand the sight of guts and viscera, so going into that field of medicine makes no sense for me, and I'd probably do more harm than good there. If, despite all that, I became a surgeon, and then killed someone on the operating table because I wasn't cut out for the job and was distracted with, say, family troubles to boot, then their death would still be my fault regardless of how noble my intentions may have been or how jacked up the issues I was facing in my personal life was. When someone puts their life and well-being, be it physical or mental, in your hands, trusting you to help them because you are the expert and advertise yourself as such, then you should be held responsible if something you did or failed to do caused them distress or harm even inadvertently. It's just common sense and basic business practice. Plus, speaking as someone who's personally suffered from years of debilitating and agonizing mental illness, seeing a trained, professional therapist fail multiple patients this horribly just makes me livid on a deep, fundamental level. And I admit, this could just be a personal hot button of mine, and not everyone feels the same way about it. But for me, seeing someone who has actively placed himself in a position of medical authority not only abusing the trust of his patients (he actively invaded Siwan and Hana's minds without their consent for God's sake! Does no one else see a problem with this?? ), but in some cases making their lives actively worse rubs me in all the wrong ways. I do concede that after I wrote my last post and left for work, it did occur to me that the reasoning behind Taejoo not physically removing Eunho from his abusive environment could be because Eunho simply could not bring himself to leave, no matter what Taejoo tried. I just wish that the series would have told or shown this to us more explicitly if that was the case. Some sort of confirmation that the two talked or spent time with each other beyond their vigilante mission, that they actually had some kind of brotherly relationship that went beyond mere sentimental familial obligation, that Taejoo truly didn't leave Eunho alone in his misery and pain in that horrible environment and just expect him to take care of it himself after rejecting all of Taejoo's offers to leave. Even an extra line or two of dialogue could have helped. As it stands, just judging from Eunho's outburst to Wookyung at the police station it sounded like Taejoo's advice essentially boiled down to "You're blind and brainwashed, but you'll see I'm right about your 'family' eventually, just you wait. And when that happens, don't say I didn't tell you so." At least, that's how it came across to me. All this being said, though, feel free to have whatever viewpoints you like on Taejoo's character. Due to my personal experiences and beliefs regarding expectations for people who voluntarily place themselves in positions of authority that others are expected to defer to, I will always find a character like Taejoo far less sympathetic than someone like Eunho. However, this isn't to say that you can't have a completely different opinion than the one I hold due to your interpretation of the the character, and that's perfectly fine. Thanks for the thought-provoking discussion! @cyan5tarlight I think you misunderstand me. Not once did I say that I approve of YTJ being in a place of professional authority as he was, and using it the way he did for his vigilante activities. Never did I claim that he was justified in using unethical means to obtain the intel that he required without his patients' knowing or consent. Nor did I say that YTJ should be excused for not having removed himself from that position, knowing that he had issues. YTJ is one who is morally skewed, regardless of the tragedy that brought him to that place - there are no two ways about that. I do understand that you hold him to a higher standard exactly because he is a trained professional with this area of expertise, and well you should. However, my standpoint comes from viewing him as a damaged character, who was no longer in the correct frame of mind to judge the rightness of his actions, expert or not, professional or otherwise. Do I excuse him for what he did as a result? No. My only exposition about him as a character was never that he was right or justified, merely my theory as to why he got to where he did, and my differing views on whether he manipulated his own brother for nefarious ends. I am sorry if I come across differently and appear to advocate all his actions, because I don't. In which case, I guess I should give my analysis of YTJ a rest in case I give cause for anyone to think that I really do support the viewpoint that the ends justify the means Thank you for the engaging discussion! It has been a long time since I watched a drama that evoked such riveting reactions and analysis - a sign of an excellent drama that does more than just entertain, one that deserves a standing ovation. Was documenting the timeline of the drama to try and get a sense of the chain of events... and found that while emotionally resonant and intellectually stimulating, production errors unfortunately do plague it... in this case timeline inconsistency. Still, it was a fascinating exercise, reminding me that ASW was killed after LHS - one which initially eluded me because of the sequence with which the cases are revealed to us. And yet another proof that this show continues to hold me in its thrall, and I still can't cut my ties to it. Season 2 anyone? Thanks for the timeline analysis! I admit that the timeline for the series has kind of confused me throughout, mostly because everyone always seems REALLY COLD even when it seems to be supposed to take place over the course of about a year. But I chalk that up to a fall-winter shooting schedule and not wanting your poor actors to develop frostbite. As for the other timeline muddles, it's a bit unfortunate that the some of the dates were fudged that badly. You'd think someone from production would have caught at least some of those. :/ But ah well, it's not super distracting, and doesn't detract from the story itself, so I'll let it slide. BTW, does anyone happen to have any other drama recommendations that someone who really enjoyed Children of Nobody might like? I'm close to being done with Legend of the Blue Sea, and I'd like some other dramas to add to my queue. For a bit more context, I prefer character-based dramas, and any genre is fine with me, though I'm not a huge fan of romance. I don't mind it when it's done well, but even then, I do prefer there be other interesting aspects to the story than just the main couple's relationship. My favorite drama so far that I've watched has been Goblin, because I loved the modern fantasy aspects of it and the characters were all so interesting and likable and had great chemistry with each other. I also enjoyed Pinocchio and Healer quite a lot. I've heard of this show called "Duel" that sounded interesting, that I was thinking about starting, but any other recommendations would be greatly appreciated! @cyan5tarlight Glad all's good and we can move on And yes, the mistakes in the timeline were rather unfortunate - there was also a scene when CWK first sent a direct message to Red Cry, and the list of Red Cry posts on the Mom's website were from year 2015 when he only first joined using PJH's identity in May 2018 Nonetheless, I agree that they did not detract from the story, certainly not its emotional resonance, and I wouldn't have noticed either if I had not gone back and deliberately traced the timeline to begin with. Some drama recommendations would include Signal and Missing Noir M, if you have not watched them already. Prison Playbook is also an absolute joy to watch. Kim Sun-ah couldn't help but compliment Kim Yeo-jin who played Dong-sook. "There was a scene where she laughs about her husband's death. The scene crossed paths with a narration and when I watched it on TV, I watched in awe. It gave me goosebumps". She mentioned all the actors she worked with and said, "They all have unique characters and it was fun. It was only fun in a serious environment thanks to good people". I remember that scene. Indeed was a good scene and Kim yeo Jin did a very good job. Hey ya, I'm a little late to the party, but @bedifferentrecommended the drama to me and due to this I binge watched it within four days, finished it an hour ago and wat to summarize my thoughts about the ending. You said it was like 'Mother' and compared it to be as good as Signal or Tunnel. It is indeed very good, but I would not go that far. Mother was way more emotional, during Mother I had a dry throat more than once, CoN approached the topic from other angles, asked very interesting questions and had an interesting plot, which was never boring. I can see the similarities, but it wasn't as emotional and sometimes hard to watch like "Mother". Some scenes during Mother were hard to endure, I never had that problem during CoN. Sure, after or during some scenes you also thought in what a richard simmons up world they are living, but I had way more often this crime-drama feeling. But if I learned something from Children of Nobody, and the peeps that know me well will know that this is the most important thing I expect from a drama, then that I agree with Kang at the end, which is completely irrelevant towards the story or anything. But I also thought the way like him, but it somehow changed. I understand now why you said you wished Soo Young had more screentime. I felt her story was treated miserably. I hated it when that bro beat up my girl, I wished they would have dealt with it more. It felt so much like running out of time and just scratching the surface. Honestly I feel like the plot isn't finished, I hated it so much when that punkbrother beat her up. I hated him so much. Somehow I'm not happy about catching Red Cry. I felt that was too easy to just lure him into the house so easily. In the past he was way more careful. I think they gave away too much towards the end, I felt like I already knew what was happening after pretty much half of ep 15. Episode 16 was more or less just watching what I already knew. At a certain point you know who the sister was, who the killer was and how everything is connected. Which is a little sad, because I really loved the style of storytelling. If we are totally honest, the first two episodes including WK husband, his affair and Kangs ex-gf, including his boyish affection towards her was completely irrelevant. It didn't do anything. I was hoping that his insecurity and different behavior towards her would play are role at one point, but they ignored it completely. Well, maybe they were just introduced to have a way to put Eun Soo somewhere, so WK has time for her stuff. Eun Soo had too less screentime. The final episode means our heroes have no choice but to face the truth about Red Cry and the little girl in the green dress. While this drama may not have been the easiest to watch due to its bleak and disturbing subject matter, it has been one of the most gripping and intriguing shows I’ve seen in a long time, and, unlike Woo-kyung’s childhood memories, will remain with me for a long time.